Five weeks of intensive learning at Mission Training International has come to an end. We are exhausted. In a good way. Our time here at MTI has been fruitful in many ways. One of the first things we learned during SPLICE was about the Paradox (Pair-of-ducks) of our lives as missionaries. Our lives are filled with paradoxes like today, where we are full of joy at departing MTI and full of sadness at departing MTI. But how can you both at the same time? Ah, that’s the paradox! We have two ducks to help us communicate this. 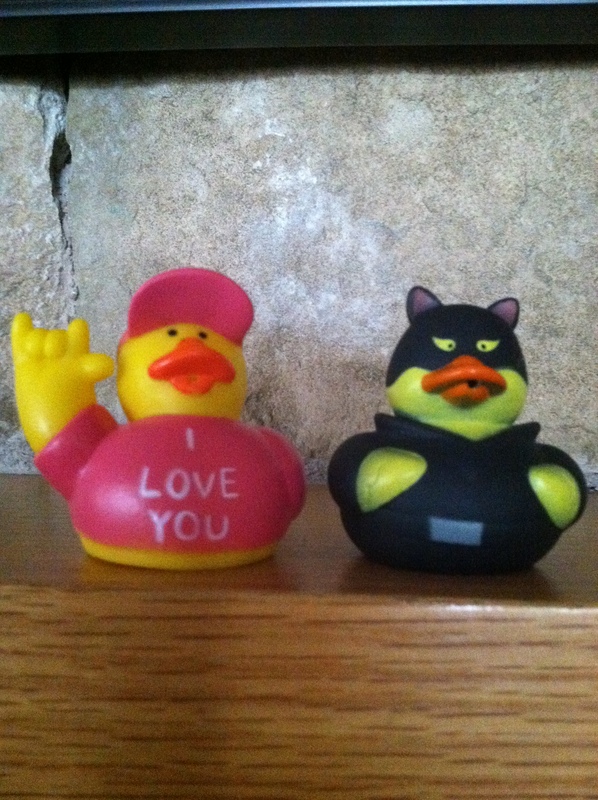 A Yea Duck and a Yuck Duck. Can you tell which is which from the picture beside? We use the ducks to communicate how we are feeling. The Yay Duck represents all the things we are thankful for and bring joy in our lives. The Yuck Duck represents all the things we are sad about, grieving over, struggling with, etc. Today our Yea Duck and Yuck Duck were the exact same! We are joyful to return to our family who we have missed very much. But we are saddened to leave dear friends we’ve come to love dearly too. Yea! Yuck! In the weeks ahead we will attempt to unpack all that we learned while at MTI. Please be patient. Much of it we are still processing. Please be in prayer for our fellow missionary friends. Like us, pray that their financial support will be raised very soon. And pray that their marriages, children, and family relationships are protected and flourish during the difficult days ahead. One family left last week and arrived in their new culture already. Several others are departing between early December through March. They are going to Asia, the Middle East, Africa, South America, Mexico, the United States, and Europe. Yes! To the nations! God is moving in this world to bring glory to His name and people of every race, tribe and tongue into His Kingdom! 2 Responses to Pair-of-ducks? Uhm, Paradox! Prayers continue, we love you so much! Great is Thy Faithfulness!!!! Yes I will pray for you and them. An ordinary family serving Christ in Ghana. Partner with the Holloway’s with a monthly/quarterly/annual gift. ** - Click here - Commit to monthly financial support.